3 ton winch is a kind of winch that is widely used to hoist or drag the heavy objects about 3 tons. 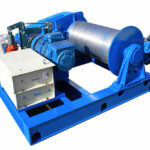 The 3 ton winches in our company mainly consist of 3 ton electric winch, 3 ton hydraulic winch and 3 ton hand winch, etc. Ellsen 3 ton winches are widely spread in the market and it is popular in many occasions such as the installation of much equipment, the movement of the heavy machine and the raw materials. All in all, the winches are necessary in many cases and they are practical and effective. 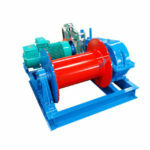 Our company provides many kinds of winches in different specifications. 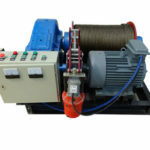 JK series 3 ton electric winch: JK series winches are a kind of electronic control high speed winch. 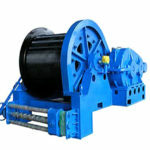 This series winches are widely used in the materials hoisting and the movement of heavy objects. They are designed with the idea of fashion and practice so that the machine is dedicate and useful in many cases. There are many advantages in the process of working of the machine. For instance, the machine is in stable performance and it is easy to operate. The stable performance of the machine is due to the scientific design of the machine. JKL series 3 ton hand winch: JK series 3 ton hand winch can be widely used in the pilling work and the material lifting task. The special feature of JKL series winch is the rotating shaft. The reason why this kind of winch can work in a pretty high speed is that the main shaft is rotating instead of the other types. The rotating shaft has a high speed and it is easy to operate which has a high working rate. What’s more, if you operate the machine properly, the machine will has pretty long service time. It’s a fact that the hydraulic winch has a larger powerful energy driver. Compared with the other types of winches, the hydraulic winch has a stable performance and long service time. It is also durable and practical all the time because it can be used both as the industrial winch in the factory and as the marine winch in the ship. In the factory, the winch can be used to drag or hoist the goods or equipments that are too heavy to carry by labor. All in all, the hydraulic winch is practical and effective and it is a kind of necessary equipment to the factory and boat. 4 ton winch, made by Ellsen, mainly consists of 4 ton electric winch and 4 ton hand winch. Here are some basic information about winch 4 ton. As the name means, the winch 4 ton is mainly used hoist or drag the heavy goods about 4 ton. There are many advantages in the 4 ton winches. First or all, the 4 ton winch are in good and stable performance all the time. Our company adopts the advanced technology to ensure the good quality of the goods. On the one hand, our company has recruited many professional engineers to improve the quality of our machine. On the other hand, our engineers are responsible for the installation of the machine so that they can deal with the problems in time, and then according to the problems they encounter, engineers can correct the inappropriate points and improve the quality. 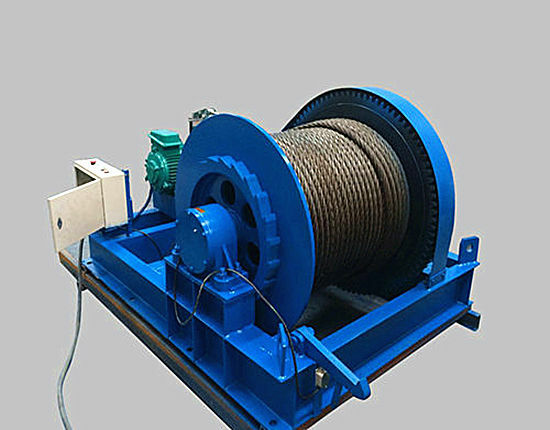 JM type electric control slow winch: this series winches are widely used in the factory, construction site and harbor. It is designed with a reducer so that it has stable performance. It is suitable for the installation of the equipment and it is also suitable for anchoring, towing and mooring on boat or at harbor. 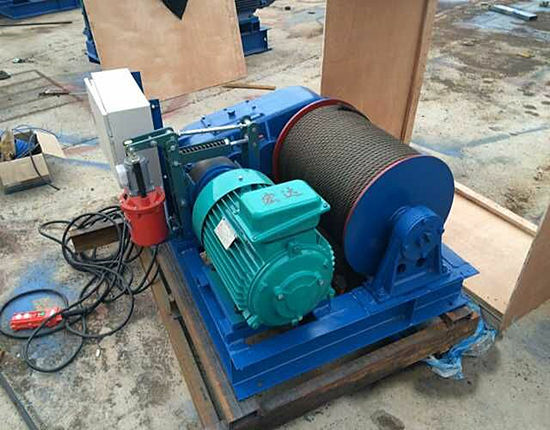 JK series electric control high speed winch: The special point of JK series winch is that this kind of winch has high speed. It is often used as the main hoist in the crane or lifting trolley. It is suitable for small projects and equipment installation in the construction mine lifting and factories. JKL series hand control high speed free rolling winch: JKL series 4 ton hand winch features at the rotating shaft. The rotating shaft is famous for the high speed and the fast working rate. What’s more, the winches are designed with a handle that it can be operated by hand. If the skilled worker can operated the machine properly, it has a pretty high working rate. 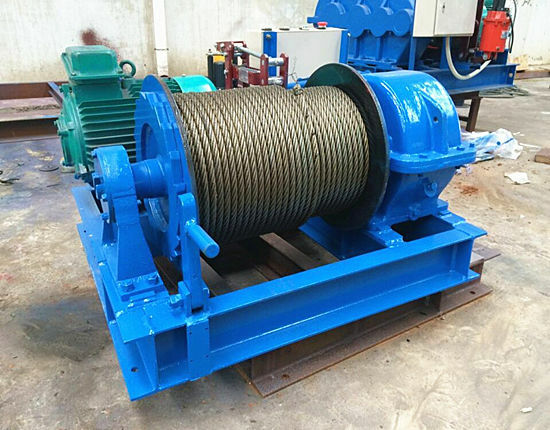 Non-standard winch: The special service of our company for the winches is customization. 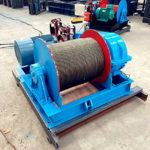 If you need the non-standard winches in the construction site, factory, boat and harbor, etc., please feel free to tell us your special requirements, our professional engineers will give you the most proper service. Welcome to visit our company and factory if you are interested in the winches, please feel easy to keep in touch with us, we’ll give a satisfying reply as soon as possible.